Morning Summary: Insiders are saying the stock market may be in the midst of a "tariff tantrum". Perhaps one of the biggest fears is that the leader on the way up has been the "tech sector", which until now hasn't taken any major hits. That was a different story yesterday and now has some very larger traders on the edge of their seat. In case you missed the headline, President Trump told reports that he will formally sign new trade measures next week and promised they would be in effect “for a long period of time.” The measures supposedly will impose tariffs of 25% on steel and 10% on aluminum. Interestingly, the tariffs are expected to apply to all countries. President Trump also told a group of executives that he did not want any nation to be exempted from the order, arguing that if one country was exempt, all other countries would be in line to ask for similar treatment. I suspect that's a logical assumption, but all media headlines and uncertainties now surrounding "trade" has the market a nervous wreck. Many sources are saying longer-term the President is making the right move and as a nation we need to get things back on a level playing field. As the process plays itself out it looks like things could get a little rocky. Make certain you recognize while technology and steel and aluminum may seem unrelated, the tech sector has the most international exposure of any sector in the S&P 500 with 60% of its revenues being generated abroad. Any major ripples with trading partners could certainly trigger the computer trading models to pull some bets off the table. Lets also keep in mind the market is a bit uncertain about signs of growing inflation, and a potential increase in the velocity of interest rate hikes by the U.S. Federal Reserve. Yesterday's selloff now puts the Dow in negative territory for the year. Some are saying economic data set for release next week could exacerbate the inflation fears even further. Next Friday brings the February Employment report, a data point that has been at the heart of inflationary concerns. The U.S. economy is reporting unemployment claims that haven’t been this low since the 60s and economists seriously now wonder how tight the labor market really is? Many economists believe we are at or very near “full employment”. In theory, the lower that rate dips, the more susceptible the economy is to inflation as wage growth will continue to escalate. Next week also brings ISM Non-Manufacturing on Monday; Factory Orders on Tuesday; International Trade, Productivity and Costs, the Fed’s Beige Book and Consumer Credit on Wednesday. Bottom line, there's a lot of key data scheduled for release that may well serve to rattle investors even further over U.S. monetary policy. Trouble viewing the report? CLICK HERE to view in browser. Some folks have been having problems using old versions of Microsoft Outlook. This is our temporary solution until Microsoft provides a patch or you are able to upgrade to the newest version of Outlook. Call the office at 816-322-5300 if you are still having problems. Paul Tudor Jones Recommends Buying Commodities And "Hard Assets": Paul Tudor Jones, the legendary hedge fund manager who called the October 1987 crash, shared his bold market views in a rare interview with Goldman Sachs sent to the bank's clients. The hedge fund manager rarely talks to the press, which makes this interview, which was sent to the bank's clients that much more of an opportunity to get a revealing look at his investing thought process. Highlights from his full interview with Goldman Sachs are interesting and certainly worth reading. They can be seen on CNBC HERE. 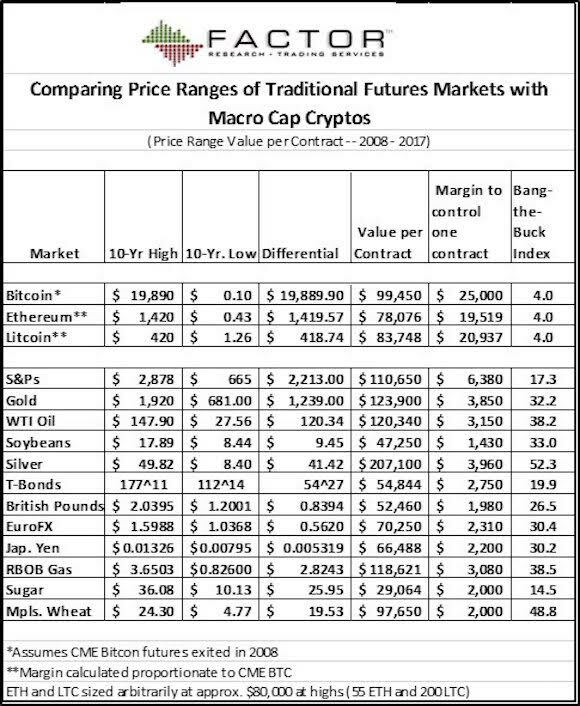 You Thought Crypto's Had Leverage? Peter Brandt over at Factor Trading tweeted the following pic and commentary. 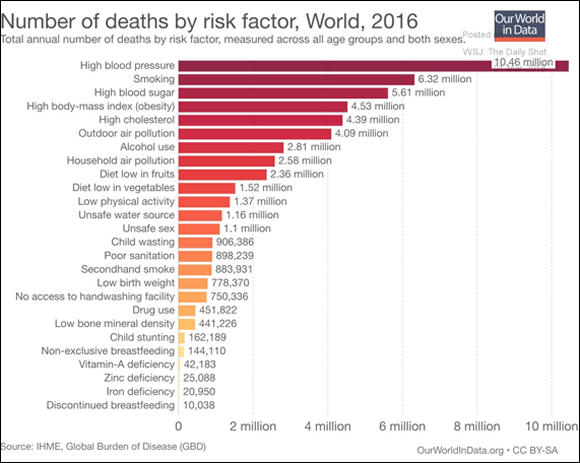 the far right column shows the leverage in each market. "For those who think traditional futures and forex markets are nothing but an "old-man's" game, think again." Weather in the Corn Belt has seen locally heavy rain from Illinois eastward continue to aggravate lowland flooding. Many larger rivers are also experiencing significant flooding. The Ohio River crest is in the vicinity of Evansville, Indiana, where the river is nearly 4.9 feet above flood state and at its highest level since March 1997. On the Plains, dry weather prevails. 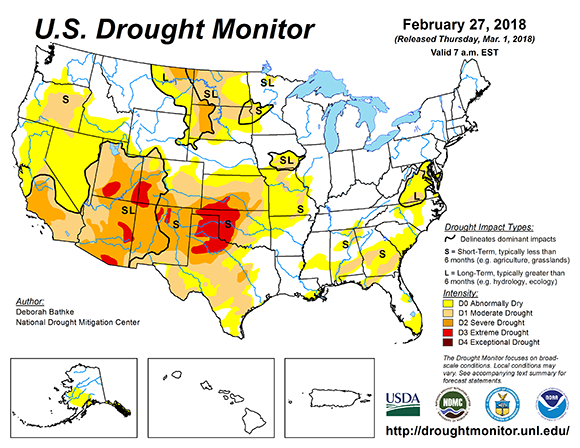 Snow remains on the ground in nearly all of Montana and the Dakotas, but extreme drought persists across portions of the southern Plains; currently covering almost one-third of Oklahoma; 11% of Texas; and nearly 10% of Kansas. In the South, locally heavy rain is falling from eastern Texas into the Tennessee Valley. Many locations within that area including Jackson, Tennessee; Little Rock, Arkansas just completed their wettest February on record. Rain is expected to change to snow today across the Great Lakes region and the Northeast, accompanied by increasing winds. Meanwhile, one of the most impressive storms of the season will continue to affect the West into the weekend. Early next week, the storm will cross the nation's mid-section, potentially producing heavy snow across the northern Plains and upper Midwest. In contrast, dry weather will prevail during the next 5 days across Florida's peninsula and the southern High Plains. We are hearing reports out of South America that this is one of the driest growing seasons in 70 years in Argentina. Weather recently has been dry with temperatures somewhat mild for this time of year. There is no sign of this dry pattern ending as losses to filling corn and soybean mount. If this weather pattern continues, crop losses will continue through at least mid-March. Drought Eases A Bit: This past week was marked by heavy rain across the mid-South and lower Midwest. The excessive rain broke daily precipitation records, caused flooding in many locations, and led to significant improvements to drought. Abnormally dry conditions improved in parts of eastern Nebraska, north-central Nebraska, southeast South Dakota, northeast Colorado, and southwest Nebraska. Heavy rainfall across the southern region resulted in significant improvements to drought in the mid-South. Over 10 inches of rain fell across eastern Oklahoma, central Arkansas, eastern Texas, and northern Louisiana, filling reservoirs and leading to flooding in many areas. Accordingly, several 2-category improvements were made and severe and extreme drought was eliminated in these areas. I think it is worth nothing that the drought in the hard red winter wheat belt of western Kansas and western Oklahoma saw no real improvements. This is where the majority of the wheat is produced, on the western sides of these two states. The situation continues to be quite concerning in the southern Plains. Corn prices have made a nice run as both wheat and soybeans pull the market higher. 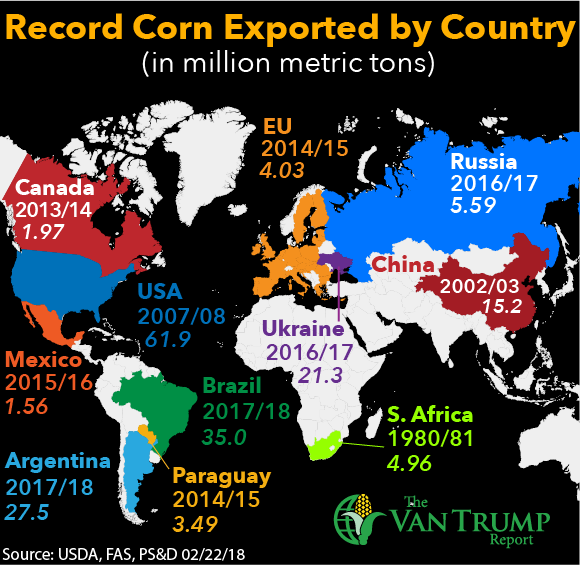 The South American crop is getting smaller and U.S. demand is getting larger. It also fells like U.S. corn acres might be getting a bit smaller as well. It just feels like more soybean acres than corn are going to be out there. Hit a couple of wide-spread weather speed-bumps during the U.S. planting or growing season and you could realistically trim U.S. ending stocks to sub-1.5 million without getting wildly creative. I know that sounds like a massive and unachievable reaction, but I don't think it's out of the realm of possibility. As both a spec and a producer, I remain bullish. As a producer, I am however using strategies to reduce downside price exposure while continuing to participate in some capacity in additional upside potential. I still think longer-term there's still more room to the upside. Soybean bulls continue to see weather and logistic complications in South America pushing buyers back to the U.S. I keep hearing that the Gulf is nearing full capacity and the Chinese are still sourcing a few beans off the PNW. There's also still more inside talk that China is needing to buy more beans for April. In turn the trade continues to build additional risk premium into the market. 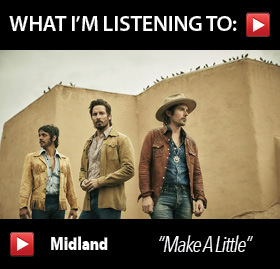 Old-crop continues to reap the majority of the benefits and should remain hot until the day the music dies. In this case the "music" is Argentine weather, Chinese demand and political uncertainties across South America. Bears are thinking recent steel and aluminum tariffs scheduled to be put in play by President Trump next week could spark some type of retaliation by the Chinese. I personally don't see that being the case, because current American restrictions actually keep steel and aluminum imported from China somewhat limited already, meaning China really doesn't export all that much of either steel or aluminum to the U.S., so I doubt it creates a major backlash in the ag sector. Instead, the bulk of American metal imports are supplied by the likes of Canada, Brazil, Russia, South Korea and Mexico. As a producer, I continue to like the thought of reducing a small portion of longer-term price risk on the rally. Weather and Washington remain two highly unpredictable wild-cards... adjust accordingly! Wheat bulls are happy to see the bearish funds finally throwing in the towel on a massive short position. Being a patient bull is now paying dividends. The July HRW contract is about +$1.20 off its lows set back in mid-December, while the SRW contract is about +$1.00 off it's recent low. Poor crop conditions in the U.S. and a continued dry outlook is being paired with headlines of extremely cold temperatures across parts of the Black Sea region and portions of Europe. As a producer, I'm now making a few sales and reducing longer-term price risk. Make sure you also looking at 2019 prices. The JUL19 HRW wheat contract is again trading up near $6.00 per bushel. Some insiders are telling me the Trump Re-Flation trade is back in vogue and it's spooking some of the funds out of their traditional fundamental short positions. Money-flow remains king... Staying bullish a bit longer! 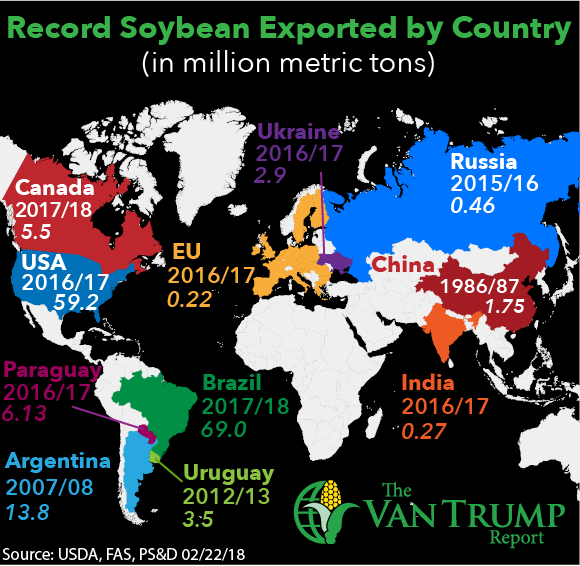 > Brazil Soybean Crop Raised: Brazil’s Association of Vegetable Oil Industries (ABIOVE) has revised upwards its estimates of the nation’s soybean crops to 114.7 million mt, up from its previous estimate of 109.5 million mt and from the 2017 record crop of 114.2 million mt. 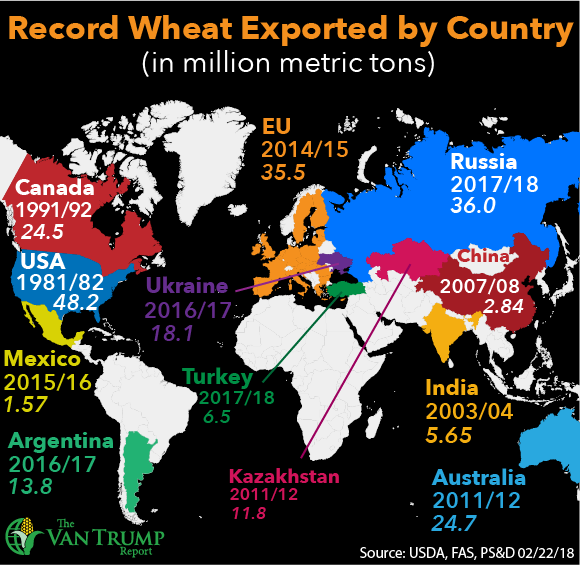 Exports are expected to reach 68 million mt, up from its December estimate of 66 million mt and largely in line with the 67.8 million mt that was sold internationally the year before. > Monarch Preservation Collaboration Launches: Farmers for Monarchs, a collaboration initiative launched at Commodity Classic, seeks to reverse monarch butterfly population losses by establishing and expanding habitats. This voluntary effort could potentially prevent the listing of monarchs as an endangered species. The program is “among the broadest voluntary efforts to date aimed at connecting farmers and ranchers to the education and resources they need to leverage the benefits of planting and restoring pollinator and conservation habitats, including milkweed, on their lands,” said Chris Novak, CEO of the National Corn Growers Association (NCGA). Southeast Kansas. -​ ​We had a below average year this season as we fought the dry weather. We have a little irrigation but are mostly dry land. We expected a bit more but only managed 125bpa corn this year which is well below our averages. The beans​ ​did better reaching into the 60's. We have sold all of our old crop, finishing off the soybeans last week. We are​​ sticking with the same rotation for 2018. You can pick up cash rents for about $100 an acre and it is selling on average for $3,000, which I feel is too high right now, but guys are paying it. Westcentral Iowa - We spent the week and Commodity Classic enjoying the sunny California weather! Our season wasn't as bad as it could have been if it wasn't for the cool nights in August. I truly believe that got our corn to just over 200bpa. 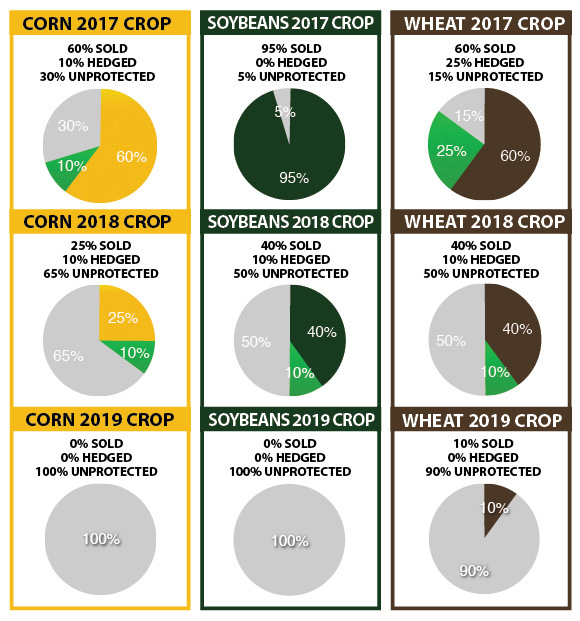 I hear a lot of folks talk genetics and obviously they matter as trendlines have gone up, but in these tight markets weather can save you or kill your season. We are in good shape moving forward and will have the same rotation and be at 50/50 corn/beans. Southcentral Virginia - We farm corn, beans and produce a million chickens a year. We have been doing the chickens for a couple years and have a great working relationship with our contractor. The crops did well last season as we produced above our APH and have gotten rid of all our old crops. Most of ours is forward contracted so it makes marketing a bit easier than most. We also do a lot of custom cutting, which allows us to see what crops are producing the best. We are heading to Vegas for a little relaxation! San Francisco based "Outdoorsy" is seeking to mobilize the 14 million idle RV's that spend most of their time under a tarp or in storage. As those who own RV's know, they are a blast to have when you are using them but they spend more time than not in storage. Keep in mind that over 35 million people a year look to rent an RV, but there are only 100,000 of them currently commercially available. 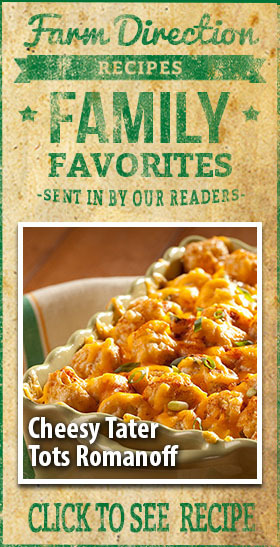 As you can see, the numbers don't add up, meaning Outdoorsy's upside is huge. This is where CEO Jeff Cavins stepped in with the idea to match up those looking to hit the road with one of the many privately owned units. It appears Cavins is on to something as their app has over 250,000 users, and 21,000 new users joining each month. The app simply pairs up qualified private owners with those looking to rent. As I understand it, Outdoorsy recently acquired another $25 million in series B funding, meaning they will have solid backing for growing out the business. 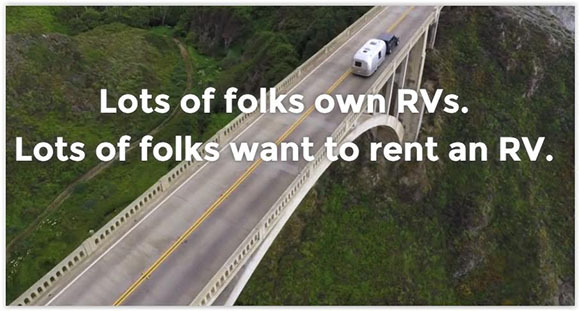 It will be interesting to see what effect this has on the RV rental industry. I suspect not only will it disrupt the rental space but new sales as well. Think about it, why would I pay $80,000-$90,000 for a new camper, use it a few times a year and put it in storage for the majority of the season, when I can simply rent someone else's whenever the need arises....no taxes, licensing, repairs or storage, that's a lot of headaches removed and cash flow added. Outdoorsy clients meet each other as the renters are shown the ins and outs of the RV. I'm told, this emotional connection is making lasting relationships. It's also worth noting there are some entrepreneurial types who have created their own business, like a single mother in Huntington Beach, Calif., who has acquired five RVs and is listing them to pay for her daughter’s law school tuition at UC Berkeley. 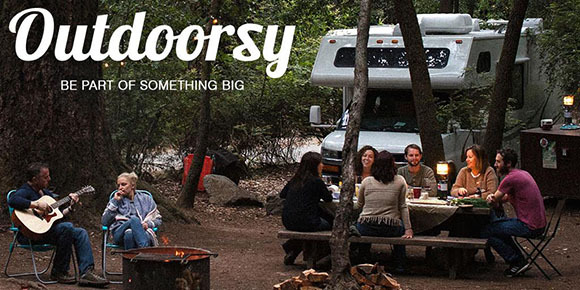 Bottom line, if you're looking to generate income from an RV that's sitting or in the market to rent, check out Outdoorsy HERE. “Oh the things you can find, if you don’t stay behind!” - You’ve got to keep moving forward and progressing because there are plenty of things in the world to discover. Also, if you lead the way you get to control what it is you find, rather than finding things others think are interesting. “You have brains in your head. You have feet in your shoes. You can steer yourself any direction you choose.” Determining your destination is priority one. What the brain can dream up, the body can fulfill as long as there is a strong determination and a clear vision of what it is that is wanted. The great part is that this is all up to you. “Think left and think right and think low and think high. Oh, the things you can think up if only you try!” It’s funny to think about thinking. It seems like it’s something that just happens on autopilot, and not something that you can control. Realizing that you’re actually in control of your thoughts is very enlightening. 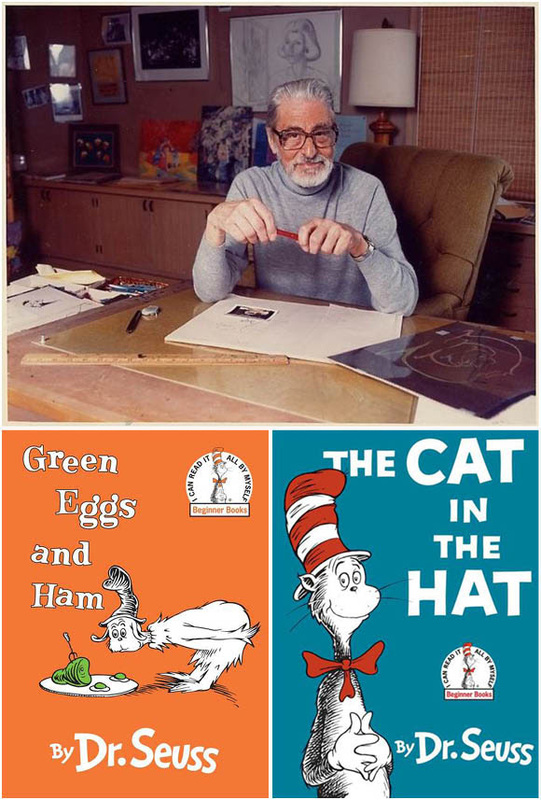 Seuss tends to encourage people to think in all sorts of different ways, and different directions so that you can scour the mind for really amazing ideas. “If you never did you should. These things are fun, and fun is good.” It’s great to get out there and try new things, and this phrase reminds us that fun things are out there waiting for everyone if we just seek them out. Fun is good, and it leads to happy feelings, and that is really the key to having success in life. Make it a point to try new things. They won’t all be fun, but it’s a sorting out process and you have to try many things to figure out which ones you like and are best for you. “Sometimes the questions are complicated and the answers are simple.” No matter how complicated we make the questions, the answers remain simple. It may be human nature to want to make life seem more complicated than it really is. Our brains have evolved so much, and we’re able to think thoughts on a level that far surpasses the other animal life on the planet, but the true nature of things remains what it was millions of years ago and what it will be millions of years from now... Simple, trumps complex and complicated every time! 1776, American Revolution - In advance of the Continental Army’s occupation of Dorchester Heights, Massachusetts, General George Washington orders American artillery forces to begin bombarding Boston from their positions at Lechmere Point, northwest of the city center, on this day in 1776. After two straight days of bombardment, American Brigadier General John Thomas slipped 2,000 troops, cannons and artillery into position just south of Boston at Dorchester Heights. The 56 cannon involved in the move were those taken at Ticonderoga, New York, by Lieutenant Colonel Benedict Arnold and Ethan Allen with his Green Mountain Boys, which had then been transported to Boston by Colonel of Artillery Henry Knox the previous winter. By March 5, 1776, the Continental Army had artillery troops in position around Boston, including the elevated position at Dorchester Heights, overlooking the city. British General William Howe realized Boston was indefensible to the American positions and decided, on March 7, 1776, to leave the city. Ten days later, on March 17, 1776, the eight-year British occupation of Boston ended when British troops evacuated the city and sailed to the safety of Halifax, Nova Scotia. The victory at Boston resulted in John Thomas’ promotion to major general; soon after, he was assigned to replace General Richard Montgomery, who was killed in action as he and Benedict Arnold attempted to take Quebec. Thomas arrived at Quebec on May 1 and soon lost his own life. Although a physician by profession, he died of smallpox on June 2, as the Patriots retreated up the Richelieu River from their failed siege of the city. 1966, Ford Mustang - In Dearborn, Michigan, the Ford Motor Company celebrates the production of its 1 millionth Mustang, a white convertible. The sporty, affordable vehicle was officially launched two years earlier, on April 17, 1964, at the World’s Fair in Flushing Meadows, New York. That same day, the new car debuted in Ford showrooms across America; almost immediately, buyers snapped up nearly 22,000 of them. More than 400,000 Mustangs were sold within that first year, exceeding sales expectations. The Mustang was conceived as a “working man’s Thunderbird,” according to Ford. The first models featured a long hood and short rear deck and a chassis based on the compact Ford Falcon. The Mustang was available in a hardtop, coupe or convertible and carried an average price tag of about $2,300. Ford general manager Lee Iacocca, who became president of the company in October 1964 (and later headed up Chrysler, which he was credited with reviving in the 1980s) was involved in the Mustang’s development and marketing. The car’s launch generated great interest: The Mustang was featured on the covers of Newsweek and Time and the night before it went on sale, the Mustang was promoted in commercials that ran simultaneously on the three major television networks. One buyer in Texas reportedly slept at a Ford showroom until his check cleared and he could drive his new Mustang home. The same year it debuted, the Mustang appeared on the silver screen in the James Bond movie “Goldfinger.” A green 1968 Mustang GT was famously featured in the 1968 Steve McQueen action movie “Bullitt.” To date, Mustangs have appeared in hundreds of movies. Within three years of its debut, approximately 500 Mustang fan clubs had cropped up. In 1999, in honor of the Mustang’s 35th anniversary, the U.S. Postal Service issued a stamp commemorating the original model. Over the decades, the Mustang has undergone numerous evolutions and remains in production today. 1969, Cold War - In a dramatic confirmation of the growing rift between the two most powerful communist nations in the world, troops from the Soviet Union and the People’s Republic of China fire on each other at a border outpost on the Ussuri River in the eastern region of the USSR, north of Vladivostok. In the years following this incident, the United States used the Soviet-Chinese schism to its advantage in its Cold War diplomacy. The cause of the firefight between Soviet and Chinese troops was a matter of dispute. The Soviets charged that Chinese soldiers crossed the border between the two nations and attacked a Soviet outpost. The Chinese report indicated that it was the Soviets who crossed the border. Either way, it was the first time that either side openly admitted to a clash of arms along the border, though it had been rumored for years that similar run-ins were occurring. Ever since the early-1960s, relations between the two communist superpowers had deteriorated. China charged that the Soviet leadership was deviating from the pure path of Marxism, and by the mid-1960s, Chinese leaders were openly declaring that the United States and the Soviet Union were conspiring against the Chinese Revolution. For the United States, the breakdown of relations between the Soviet Union and China was a diplomatic opportunity. By the early 1970s, the United States began to initiate diplomatic contacts with China. 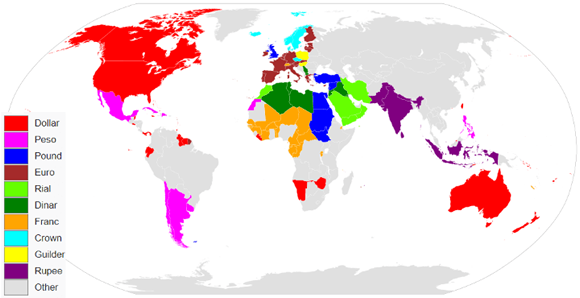 (Relations between the two nations had been severed in 1949 following the successful communist revolution in China.) In 1972, President Richard Nixon surprised the world by announcing that he would visit China. The strongest impetus for this new cordiality toward communist China was the U.S. desire to use the new relationship as leverage in its diplomacy with the Soviet Union, making the Russians more malleable on issues such as arms control and their support of North Vietnam in the on-going Vietnam War. Pitting these two communist giants against one another became a mainstay of U.S. diplomacy in the later Cold War era. "Not To Trade, is often considered a good trading decision..."
"First Rule of HOLES: When you are in one stop digging..."
"Every looser in Vegas, always walks away from the table thinking he could have done better, the winners on the other hand leave while on top..."
"Bulls make money, Bears make money, but pigs get slaughtered..."
"The markets ability to remain irrational can often times last much longer than your ability to remain solvent..."
I'm more of a long-term player, therefore you will not see me give many short-term suggestions or trade ideas. One of my most important rules is that I always follow my long-term direction. Therefore, as long as I am "bullish" a market I will only play that particular market in one of three ways. Option #1 - Conservatively long. Option #2 - Aggressively long. Option #3 - Sitting on the sideline. I never initiate a "short" position in a market that I am "bullish" longer-term, nor do I initiate a "long" position in a market I am "bearish" longer-term.